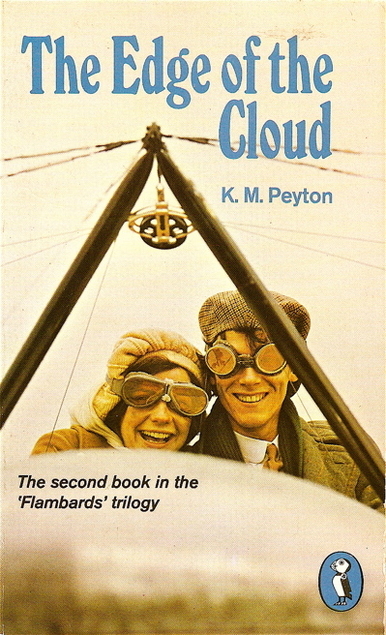 I loved the TV adaptation of K.M.Peyton‘s Flambards which I watched way back in 1979. It doesn’t seem to have been repeated since then. Anyway for some reason Flambards popped into my head just before I went to a local library book sale earlier in the year and I was quite amazed to see a copy of the first book in the series sitting unloved and unwanted in the children’s section. It was still there at the end so I decided that it must have been meant for me and I bought it. 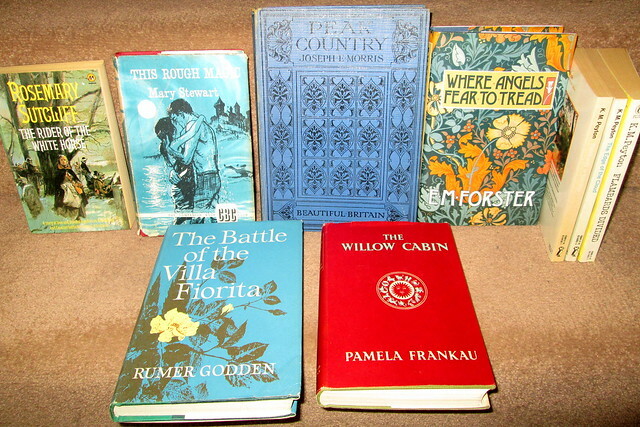 It was first published in 1967 and the Flambards quartet was the runner-up for the Carnegie Medal. The story begins in 1908 and Christina who is an orphan has been sent to live at Flambards, the home of her widowed uncle. He has two sons the eldest being Mark who is arrogant and selfish like his father and they are both obsessed with horses and fox-hunting. I know, the unspeakable in pursuit of the uneatable. Christina’s uncle is an invalid and unable to walk and ride due to a riding accident and they are obviously a lot poorer than they used to be. It’s supposed that he plans to get Christina to marry his son and heir Mark so that they can get their hands on Christina’s money when she comes of age. The younger son Will is completely different from his brother, he has no interest in horses. Machinery is his obsession and in particular, flying machines! 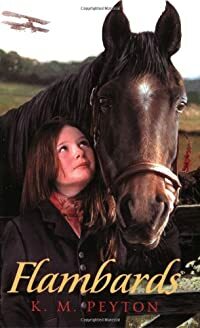 Will is bullied and beaten by his father because he isn’t the sort of son that he wants and a close friendship grows between Christina and her cousin Will, despite the fact that Christina has caught the horse obsession. There’s a lot of horsey stuff in the shape of hunting and point-to-points so this series is bound to be of interest to the many girls around who are into horse riding. I never was but my schoolfriends Vivian and Lorna just lived for horses. This book takes us up to 1912 so there isn’t much about flying in it but I’m going to be seeking out the other three books in this series which, if they’re anything like the TV series will feature the estate of Flambards as a First World War flying base.